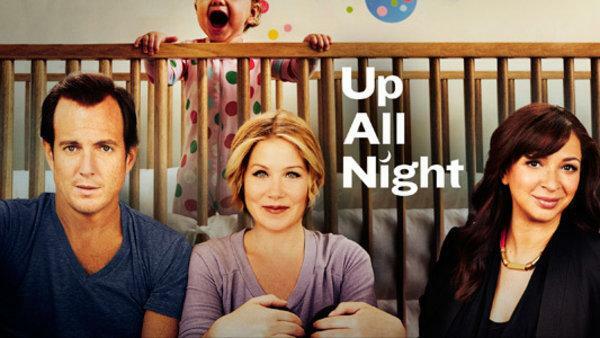 “Up All Night,” created by Emmy Award nominee Emily Spivey (NBC’s “Parks and Recreation” and “Saturday Night Live”) and executive-produced by multi-Emmy winner Lorne Michaels (NBC’s “Saturday Night Live” and “30 Rock”), is an irreverent look at modern parenthood. Christina Applegate (“Samantha Who?”) stars as Reagan Brinkley: loving wife, successful career woman, life of the party and, most recently, mom. Determined not to compromise her career or cool reputation to the clichés of motherhood, Reagan adjusts to life with a baby and returns to work with the support of her stay-at-home husband, Chris (Will Arnett, “Arrested Development”). As Reagan and Chris figure out their new life, self-doubt, sleep deprivation and the pressure of today’s parenting protocols rattle their confidence. What’s more, the endless needs of Reagan’s boss, ambitious but vulnerable talk-show host Ava (Maya Rudolph, “Saturday Night Live,” “Bridesmaids”), threaten to throw Reagan off balance. 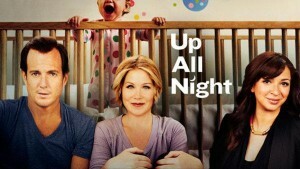 “Up All Night” is a Broadway Video and Universal Television production. Along with Michaels and Spivey, Jon Pollack (“30 Rock”) and Erin David (“Saturday Night Live”) serve as executive producers. Christina Applegate, Eric Kranzler and Andrew Singer are producers. NBC’s new multi-camera comedy “Whitney” is a hilarious look at modern-day love, which centers around Whitney (Whitney Cummings, “Chelsea Lately”) and Alex (Chris D’Elia, “Glory Daze”), a happily unmarried couple. Together for three years, the duo is in no rush to get hitched, which seems to get a mixed response from their friends. Whitney’s close circle of girlfriends includes on one side: Lily (Zoe Lister-Jones, “The Other Guys”), a romantic idealist who loves being in love, and on the other: Roxanne (Rhea Seehorn, “The Starter Wife”), a recent divorcee who is practical, cynical, and dreading being single again. Lily and Roxanne’s opposing points of view only exacerbate Whitney’s own complicated outlook on relationships. Completing their close-knit group is Neal (Maulik Pancholy, NBC’s “30 Rock”), a real modern day Renaissance man – sensitive, cool and knows a little bit about everything and happens to be dating Lily. On the other end of the spectrum is Whitney and Alex’s next-door neighbor Mark (Dan O’Brien, “How I Met Your Mother”), a police officer and total bachelor, who claims to be the ultimate player, but likes to talk a good game. At the end of the day, Whitney and Alex try to have a relationship on their own terms – in a world that expects a more traditional approach. “Whitney” is produced by Universal Television in association with Stuber Pictures. Stuber (“The Break Up”), Quan Phung, Betsy Thomas (“My Boys”) and Barry Katz (“Last Comic Standing”) are executive producers along with Cummings and executive producer/writer Andy Ackerman (“Seinfeld,” “The New Adventures of Old Christine”), who directed the pilot. BoJack Horseman Comes Back For Season 3 In July!!! This entry was posted on Tuesday, October 4th, 2011 at 9:52 pm	and is filed under News. You can follow any responses to this entry through the RSS 2.0 feed. You can skip to the end and leave a response. Pinging is currently not allowed. « The Coen Bros. (Big Lebowski) Are Jumping to Television With Hour Long Comedy Series!! !